P2P binary options platform Fairtrade has been given 7 days to halt activities in the country. 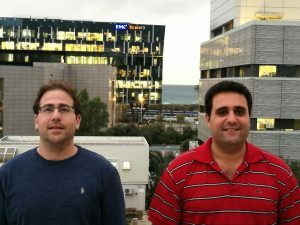 The Israeli Securities Authority (ISA) today issued for the first time a warning against a local binary options peer to peer (P2P) exchange, Fairtrade, for operating an unauthorized exchange and thus breaking an Israeli securities law. According to the warning, on January 4th the ISA sent a letter to Fairtrade informing it that it was breaking the law, and demanding that it halt its activities within 7 days. It is the first time that the ISA has taken this sort of action against a binary options exchange. The action is related to the running of an unlawful exchange, and not related to the ban that it issued last March on providing binary options services to Israelis. Fairtrade.co.il was launched in early December as a P2P platform, trying to bypass the ISA ban on targeting Israelis with binary options trading. Recently the ISA has taken a more active approach against unauthorized online trading activities in Israel, after licensing 6 forex brokers on the one hand and banning binary options on the other. Last November it fined an unlicensed binary options provider for the first time. D.G.I Media had to pay 500,000 NIS (over $125,000) for operating a binary options brokerage against regulations and its owner and CEO is now banned from holding a similar position for two years. Last week the Israeli parliament’s State Control Committee held its first discussion about an initiative to ban local binary options providers marketing abroad. The ISA Chairman, Prof. Shmuel Hauser, revealed at the meeting that a draft for an Israeli ban on marketing binary options overseas is expected soon. Finance Magnates has approached Fairtrade for comments. We will update readers when a reply is received. I am certainly not pro-binary options, but this is an interesting case. Because one could argue that because it is peer-to-peer, it is not an exchange from a securities standpoint where they are like a dealer. What is FM or other readers take on this? Good job ISA on keeping up with regulation, most other regulators are just ignoring the problem or only making things worse.